'3 Storeys' trailer leaves us wanting for more! HomeBOLLYWOODVideo'3 Storeys' trailer leaves us wanting for more! Farhan Akhtar shared the first look of '3 Storeys' and it sure has everyone biting their nails in the end. The film in the words of producer Ritesh Sidhwani, "It's not preachy but it's all about community living like your neighbour becomes your family and how they are connected." Priya Sreedharan, who is also one of the producers of the film too added to Ritesh's opinion and said, "It's a very compelling story and I am working with Ritesh and Farhan for the first time in my career." The film stars Sharman Joshi, Pulkit Samrat, Richa Chadha and Renuka Shahane in pivotal roles. The suspense thriller follows the life of people living in a chawl. Narrated by the alluring Richa Chadha, who touches the lives of other characters, the trailer gives a glimpse at people who might appear to be simple can be hiding deep, dark secrets. Renuka and Pulkit are seen bound by diamonds worth 2 crores and the secret behind it. As opposed to his Fukrey character, Pulkit will be seen donning an intense avatar. Sharman Joshi and Masumeh present an incomplete love story crossing roads yet again in present. Whereas debutantes Ankit and Aisha take the audience on a mysterious love story ride. 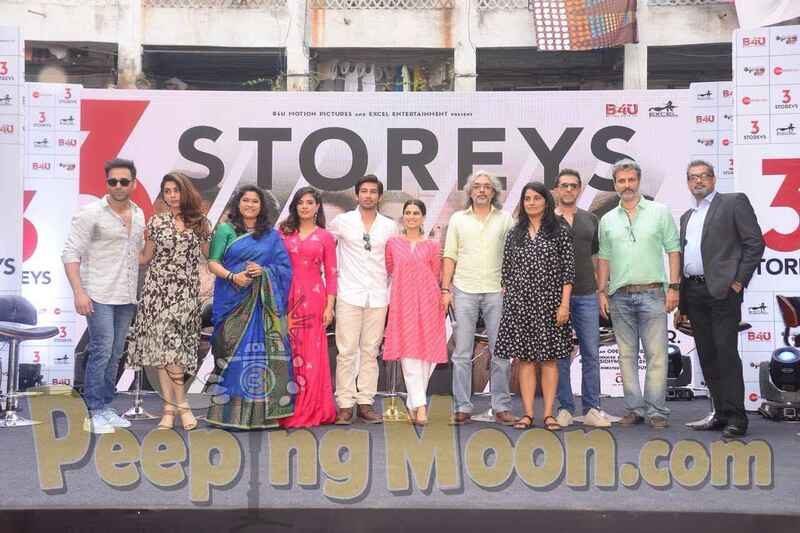 The star cast launched the trailer at a chawl in Mumbai which is where the story revolves. The film also marks the debut of Aisha Ahmed and Ankit Rathi. '3 Storeys' is scheduled to release on March 9, 2018. Don’t fall for Priya Varrier’s wink; #PyaarEkDhokaHai!